The following is the current list of planned high school level tournaments for which we have received referee requests. NOTE: The Snake River Shootout in Twin Falls has been CANCELLED. (2) Complete the online rules and penalty course. NO COST TO ANY TRAINEES. 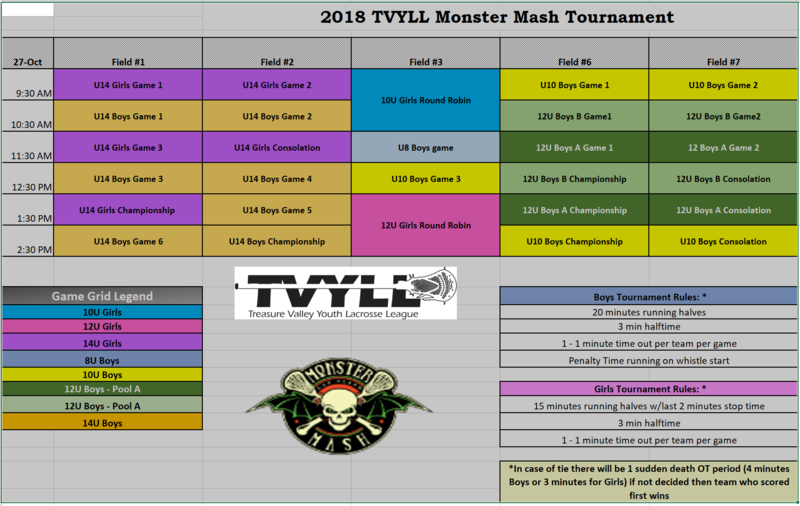 Last day of games: Monster Mash Tournament: Saturday October 27th. Full length regular youth games as per “One Pager”. Ref pay per youth game is raised to $40/ref as of this fall (it was $35/ref last fall, and $37.50/ref this past spring). Run time 12 minute quarters. With shorter quarter and half times. Looking at just under an hour from start to finish. Double or triple headers as much as possible to help the ILOA. Start times at 10 am in September then to 11 am in October. Ref pay per one hour run-time game is $50/ref. 7 v 7 tournament on a shortened field with a two point line run-time games. Should be fun to ref, although the 2 point line will be an “added challenge”. More information will be made available as this approaches. NOTE: On-Field Referee Experience Opportunity will be scheduled later (likely on a following Saturday). Please consult the following page New Ref Information under the Resources Menu to the right of this page to learn the latest.